Himalayan Stellera is a perennial herb of dry Tibetan borderlands. with many herbacious, leafy stems, up to a foot tall, arising from a thick rhizome. Leaves are elliptic-lanceshaped, long-pointed, numerous, overlapping, up to 2 cm long. 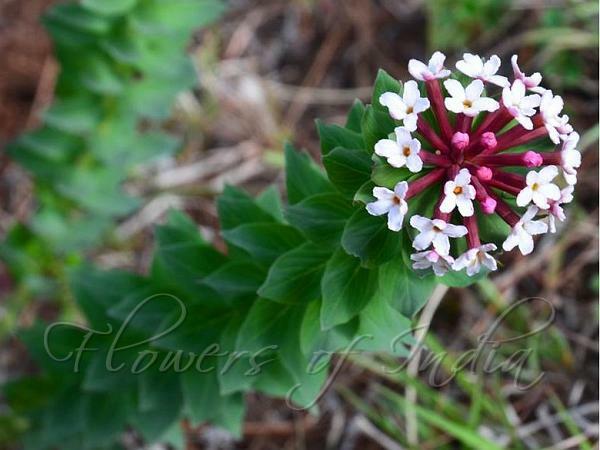 Flowers are white with pinkish tube, very fragrant, in domed clusters at top of the stems. Receptacle tube is up to 1.5 cm long, with 5 short oblong sepals. 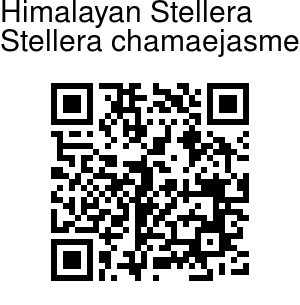 Himalayan Stellera is found in the Himalayas, from Uttarakhand to China, at altitudes of 2700-4300 m. Flowering: May-July. Identification credit: Nongthombam Ullysess Photographed in Uttarakhand.